Teacher is using Smore newsletters to spread the word online. Our Teaching with Poverty in Mind series begins on January 26 with Grit + Mindset = Perseverance. If you are not familiar with the concept of Grit, attend the first workshop to see how it can change your classroom. Check our website for the schedule. What Do You Do With Your Students After the AP Exam? When your students are finished with their AP tests in May, there are still about 6 weeks of school left. Trying to find something meaningful, educational and relevant for our students, we started looking at cross-curricular projects. We found ideas we liked that we turned into our year-end final project for several AP level courses. For three years now, we have been doing STEM or STREAM projects working between Chemistry, Art, Statistics and Tech. Come see what we do and share your ideas too. This new workshop will be offered on February 3. View our schedule to register. This youth media call-out has launched! We're looking for K-12 & college students to tell us who their education CHAMPION is through media... written word... art... whatever really! WSKG will digitally archive submissions and then select a few stories to work with the students & our staff to produce for on-air. We'd love to have your students participate! Are you passionate about using technology to create new learning opportunities? Do you enjoy collaborating with other educators to spark student interest in learning? Are you an active sharer of content and ideas through social media? 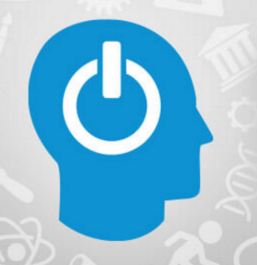 Apply for a chance to become a PBS LearningMedia Digital Innovator! What: The Digital Innovators program recognizes educators who incorporate digital media in the classroom to inspire student learning. How: Applying is as easy as 1-2-3! Simply create a short video, answer two essay questions, and complete the online application. The New York State Archives announces its twenty-sixth annual Student Research Awards program to promote and recognize excellence in student research. The main purpose of the awards program is to encourage students to explore the wealth of historical records held in historical records repositories in New York State. A secondary purpose is to increase cooperation between schools and organizations that administer historical records useful for education. Students, working individually or in groups, develop projects such as research papers, papers reconstructing the past, exhibits, documentaries, performances, PowerPoint entries, websites, or proposals for the designation of a historical marker, property or district. Projects must include an annotated bibliography and use historical records. For more information, click here. With more than 30 years experience, ELT offers the latest and most relevant research-based strategies and resources, taught by your colleagues — fellow classroom teachers and school-related professionals. Educators who have walked the walk, mentoring, facilitating and implementing the research-based methods and practices they teach. Courses are offered either online or at convenient locations throughout New York state. I encourage you to take advantage of these opportunities for professional growth! 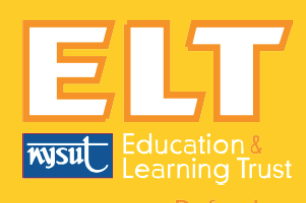 When it comes to graduate or undergraduate course work, including our college degree partnership programs, in-service programs, and seminars, the Education & Learning Trust (ELT) is the go-to choice for high-quality professional learning. Some teachers have inquired about the Ellison Die Cuts. Here is a list of our dies. It is on our website under Resources- On Site Resources. 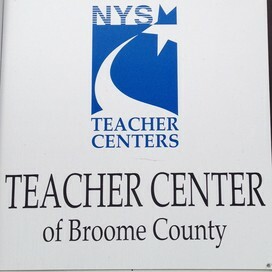 While in the past, when the Teacher Center had 2 full time employees, it was possible for teachers to send a list of the dies they would like to borrow and we would send them out with a cutter via the BOCES mail. Now, with budget cutbacks, our only employee is a part-time director. It is not possible for us to send them out any more in this manner. That being said, any teacher is welcome to come to the center, pick out the dies they would like to borrow and sign them out along with a cutter for a period of 2 weeks. If you know someone who is interested in becoming a substitute teacher, please let them know that the Teacher Center is sponsoring a Substitute Teacher Training workshop. 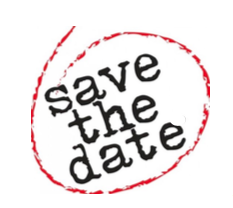 This day long workshop will go through the steps to become a substitute teacher, classroom techniques as well as classroom management. Each participant will receive a Substitute Teacher Handbook for attending. Follow this link to register- http://goo.gl/forms/69J78WZxo2 or call 607-763-3282. 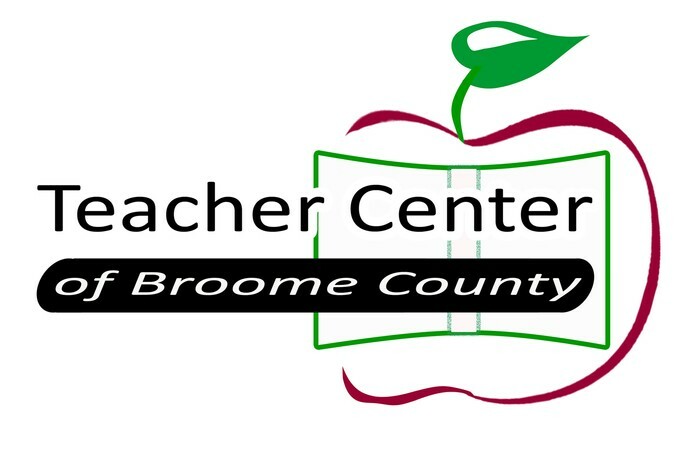 The Teacher Center of Broome County follows the Vestal Schools calendar. If the Vestal Schools close for the day or early due to weather, we will also be closed.